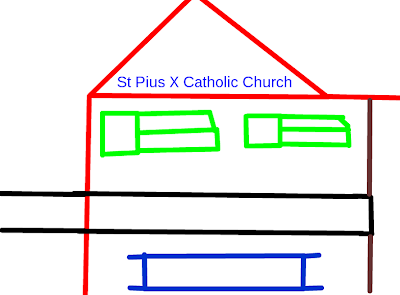 This is my church, we were learning about Pope Pius X because we are celebrating his feast day. 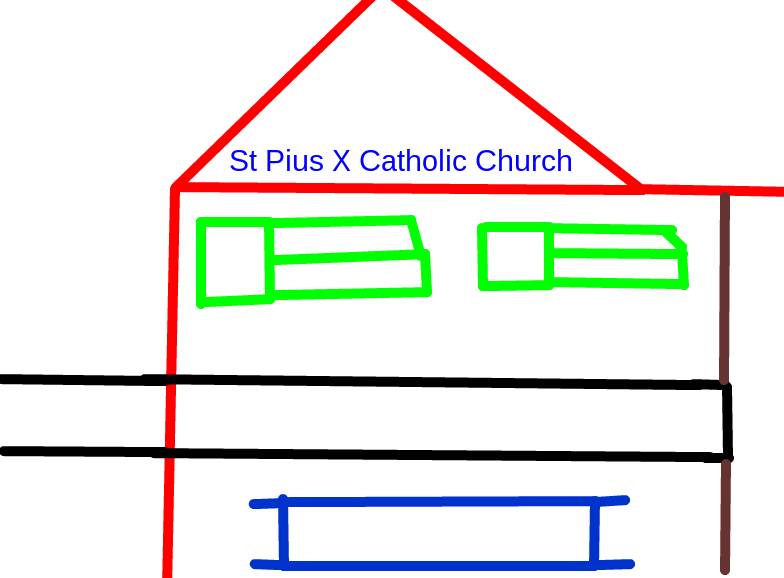 I drew a church because Pope Pius X always used to go church and this church that I drew is named after Pope Pius X. Pope Pius X was a poor man but he manged to be a Pope because he worked very hard. When Pope Pius X was born his name was Joseph Sarto and when he became a Pope he changed his name to Pope Pius X. Pope Pius X was born in June 2nd 1835 and died at 18 August 1907, Pope Pius grew up in Italy.